Here at Falcon Energy we are passionate about renewable energy and as energy conservation consultants we know a great deal about renewables. We thought this month we’d share with you three things that you might not know about this fascinating subject. Did you know the International Space Station is powered by solar panels? There are four giant sets of panels on the Space Station that can be extended, retracted and adjusted to make the best use of the sun’s rays to power the huge installation. The four solar arrays generate enough power to supply 40 homes on earth. Solar panels haven’t just gone galactic, they have also gone global. China is the largest investor in renewable energy and has installed more renewable power hubs in one year than the UK has in ten years. They construct a solar installation the size of a football pitch and a large wind turbine every hour, this investment in greener energy will hopefully make a difference to the extensive pollution that affects many of their cities. Outside of China, Germany, Denmark, Portugal and Scotland have all managed to generate over 100% of their power requirements from renewable energy for several hours; indeed Scotland is aiming to provide all of it’s power from renewables by 2020 – an ambitious target but it will be ground-breaking if they achieve it. Solar power has long been used by civilisations to provide heat and light. Ancient populations used to build their homes facing South so the sun provided natural heat and light for the buildings. Today’s solar panels build on this premise by facing south and harnessing the power of the sun to generate electricity not only to heat and light our homes but to supply all our electrical gadgets as well. In fact the sun has many benefits; solar power ensures we all have healthy bones as sunlight converts a chemical in our skin into D3. Our liver and kidneys convert this into Vitamin D, keeping us healthy. So in a way, our skin acts as a solar panel for every single one of us! Many people worry if they switch to renewable energy they will end up with power outages, particularly in the UK with our inclement weather. We all know that the sun doesn’t always shine and the wind doesn’t always blow here in Britain, so what of the power supply in these situations? 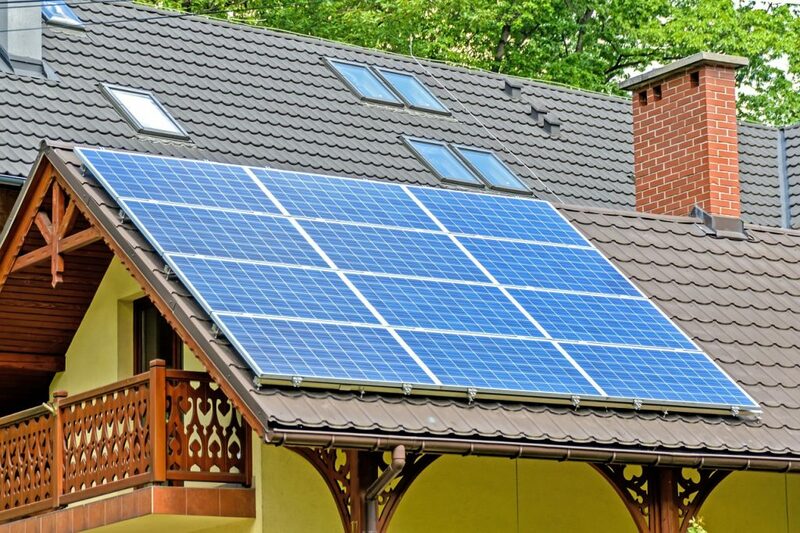 Homeowners can rest safe in the knowledge there are efficient batteries for energy storage, meaning they will not be without power. These batteries store excess energy generated when the sun is shining for use those duller days. The National Grid is investing heavily in battery technology for renewable energy. The UK’s biggest battery has been built in Bedfordshire which has stored enough to supply 1000 homes for a day. There are more of these ‘super batteries’ being developed and commissioned so power outages should not occur under renewable technology. If you’re considering renewable technologies for your home or your business, Falcon Energy’s specialist design software will help you find the best system to suit your project. Our experienced team are on hand to offer the very best advice and knowledge on the right renewable energy for you so please get in touch today. Posted in Energy, Solar Power.